Happy Friday! I was running a little later than normal this morning, so I decided to swing by the McDonald’s drive thru on my way to work instead of stopping in at Starbucks. Plus…it was raining and I really didn’t want to get out of my car. Plus, plus….I’ve been hearing all about their new fruit and maple oatmeal and wanted to give it a whirl (It was delicious, BTW). 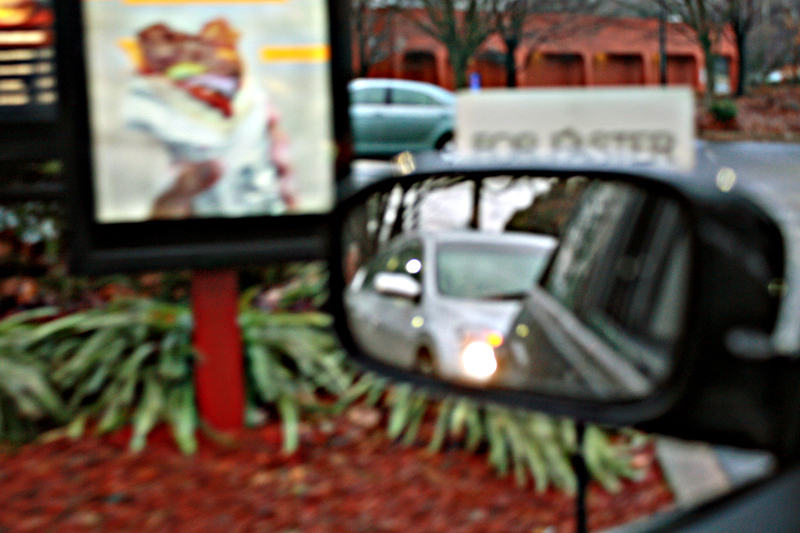 When I started brainstorming ideas for random acts of kindness, one of my favorites was paying for the drive thru order of the car behind me. I know how excited I would be if I got to the window and the person told me my meal was free! I couldn’t wait until the opportunity presented itself. Enter opportunity. As I was placing my order for coffee and oatmeal, a silver sedan pulled up behind me. Jackpot! I must be honest…had a minivan (potentially full of kids) or a car that looked like it was being driven by a contestant from The Biggest Loser (pre-Bob & Jillian) pulled up behind me, I might have had second thoughts. However, I was willing to take my chances that the driver of the sedan’s order would not break the bank. When I drove up to the window to pay, the McDonald’s employee gave me my total and I asked her to add the order of the car behind me. It was that simple! Side note: The ladies that work the Wendover Road McDonald’s drive thru are THE sweetest people. They are so friendly and always refer to me as “Sugar”, “Sweetheart”, or “Darlin'” — I’m not even a regular! (Never fear…my heart still belongs to you, Jack in the Box). I really want to think of a way to reciprocate their kindness (without risk of being referred to as “that weird lady”). Stay tuned while I locate my Thinking Cap…. That was so nice, a great way to start the day.